Mount Hood from a ski lift at Timberline Ski Resort. 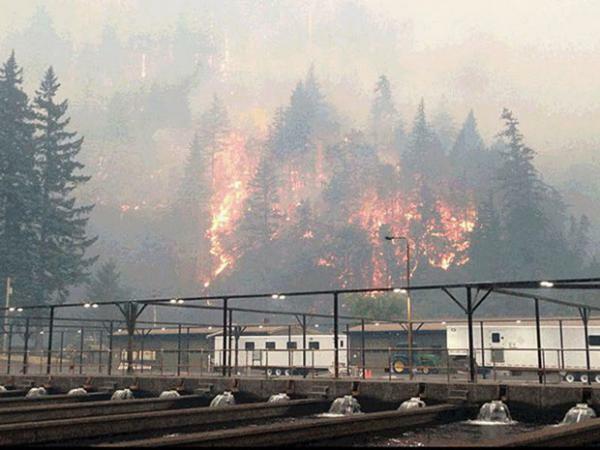 The Eagle Creek Fire as seen from the Cascade Locks Hatchery. To keep hatchery fall chinook from dying because of the fire, Oregon officials released them early. 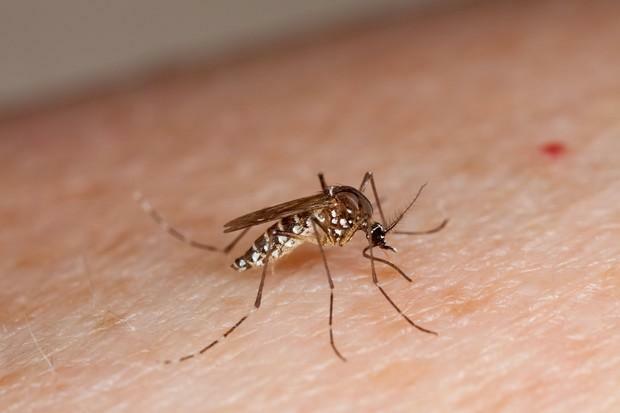 The mosquito Aedes aegypti can spread several diseases as it travels from person to person. Only the females feed on blood. 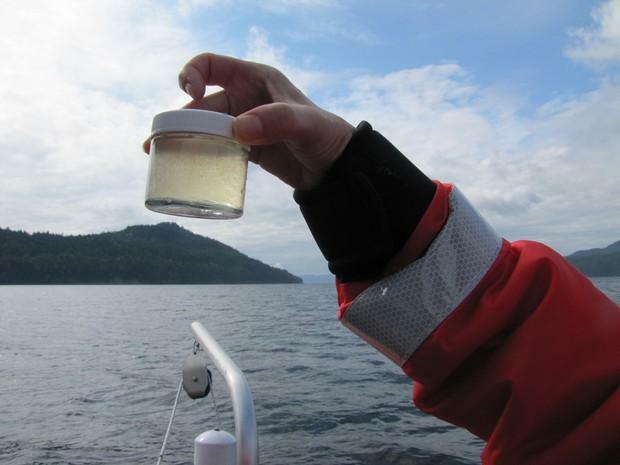 Researchers sample for phytoplankton that are harmful to salmon in Puget Sound. The Northwest is already seeing the effects of climate change, according to a new national climate assessment. The 1,600-page report outlines dire consequences across the country as global temperatures continue to rise. In the Northwest, the changes threaten much of what our region holds dear – from ski seasons to salmon runs. Who put the assessment together? It was assembled by 13 federal agencies. It's a report that's put together for Congress every four years. This edition contains the most comprehensive evaluation to date on climate impacts to economy, health, agriculture and the environment. The 2018 assessment includes a whole chapter on the Pacific Northwest, providing a vivid picture of what’s in store. The findings aren’t just about future predictions but impacts we’re already seeing in the region. What are some of the key findings for the Pacific Northwest? They add up to bad news for Oregon, Washington and Idaho: More extreme weather creating more landslides, flooding, drought and wildfires. The report notes that the region's way of life is connected to the environment and natural resources and that the impacts are profound. The Northwest's economy depends in large part on natural resources in sectors like forestry, fisheries, agriculture and outdoor recreation. Climate change threatens all of them. 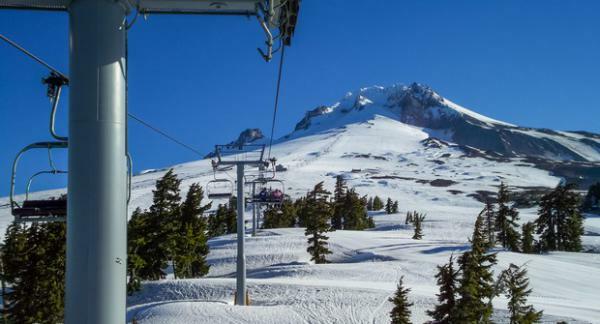 Winter recreation, for example, would be hit hard; the report predicts a lack of snow from climate change could cut all snow-based recreation revenue by 70 percent. And with spring starting earlier, crops could start blooming before insects come around to pollinate them. Then there are the things we might not think about as related to climate change, like our health. Warmer temperatures bring more mosquitoes, and as a result we’re going to see more mosquitoes carrying the West Nile virus. That means more people getting infected and even dying from that virus. The report says we’re already seeing some of these effects in the Northwest. What kinds of climate change impacts are we seeing? The report zeroes in on a recent year when we saw a lot of them: 2015, a year of severe drought for the Northwest. The report presents that year as a preview of our future with climate change. Temperatures were several degrees above normal with record low snowpack, rampant wildfires and smoky skies, and huge agricultural losses. Toxins from harmful algal blooms closed fisheries along the coast in 2015 and we saw salmon die-offs because of the warm water temperatures in rivers and streams. Does the report include recommendations for how we should prepare? Yes. And one of the big themes for those recommendations is reducing risk from extreme weather. It says we should prepare our infrastructure for more stress in the future from stronger storms, hotter heat waves and bigger wildfires. It will be important to develop back-up plans for when things go wrong because of global warming. So, if a landslide or drought takes out a key source of groundwater, we need a second source to turn to. Farmers can start planting crops that are better suited to hotter summers and wetter winters and springs. The Northwest can develop water markets so that people who have water could sell it to people who need it. And we can start growing more of our own seafood using aquaculture instead of catching wild species in the ocean to help offset the threat of extinction for fish and other species that will struggle to survive with warmer water and ocean acidification. The report acknowledges that much remains unknown about how the risk of climate change can be offset. But anything that reduces carbon emissions that trap heat — contributing to the greenhouse effect — will reduce the severity of that risk over time.